You can now be notified about future activity, without having to open the App. You can choose to have a widget that shows you what will be happening during the day, even when the App isn’t open. 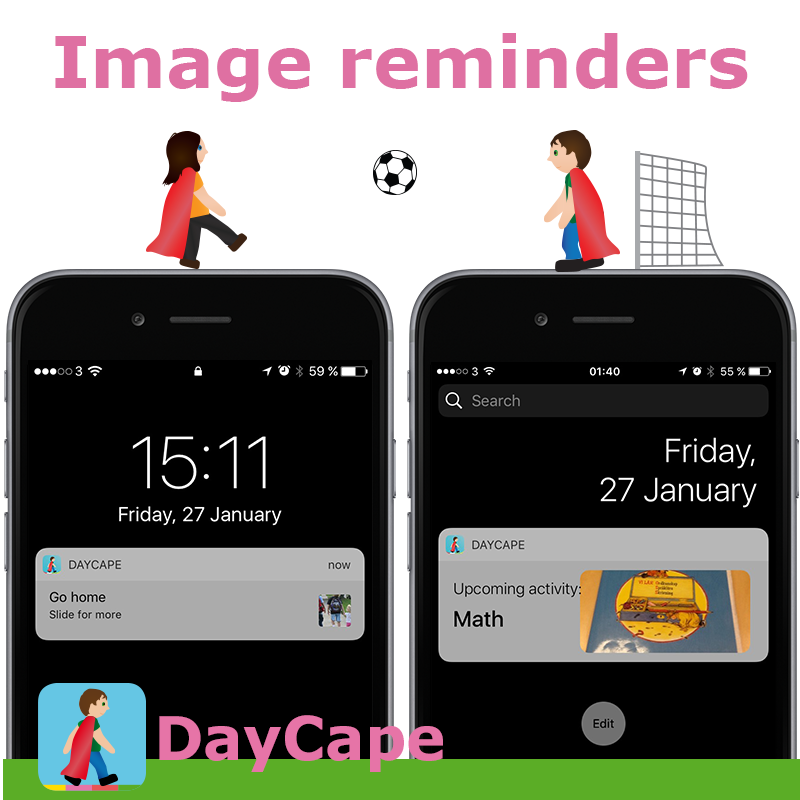 Drag to the left through your apps and choose edit to select the widget for DayCape. IOS 10 optimization means the App works even better on mobile phones. Among other things we have fixed a bug which caused some users to receive several reminders for the same activity. We have added a feature that allows you to choose to display only the activities that are planned during the day. Select this option under settings. The start time is now visible even when the activity is active. Please do not hesitate to contact us if you have comments or tips, or if you need some help to get started!